In a neighborhood east of Tallahassee, halfway between Florida’s Capital City and Monticello, Rubia Byrd has built her field of dreams. 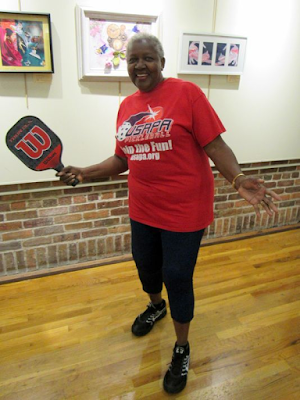 Or rather, her Pickleball “court of dreams.” It’s located in the driveway of her home. The 75-year old Byrd, who spent 34 years in the hustle and bustle of Southern California as a librarian at Van Nuys High School, has returned to the slower and quieter life of her native North Florida. At least until she steps on the Pickleball court in her driveway or at Jack McLean Park, Premier Fitness Center or the Tallahassee Senior Center.